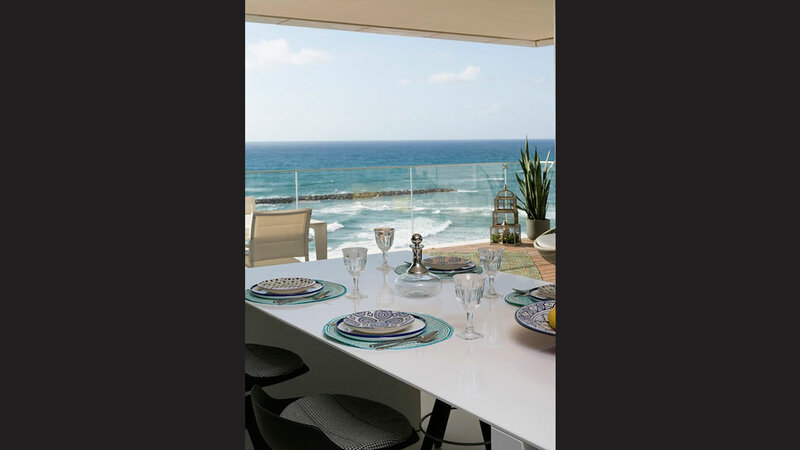 To design a modern family apartment with uninterrupted views of the Mediterranean with the highest levels of luxury and comfort. 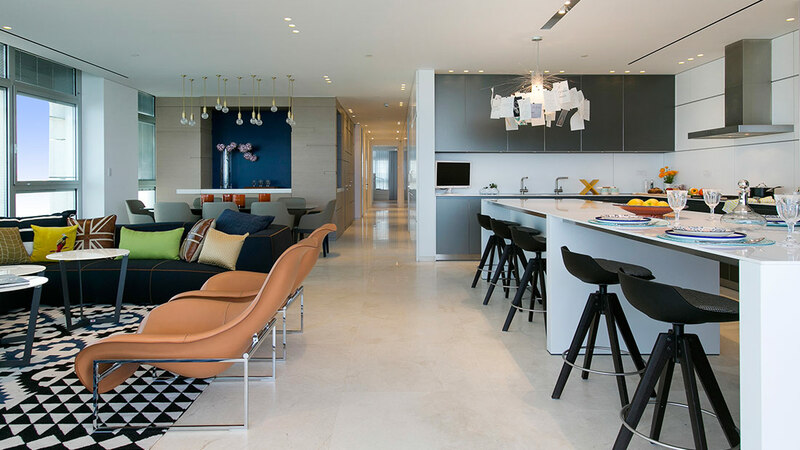 Modern, sleek, light and airy, this contemporary apartment takes its cue from the azure hues of the Mediterranean to create a space tailor-made for relaxation and entertaining. 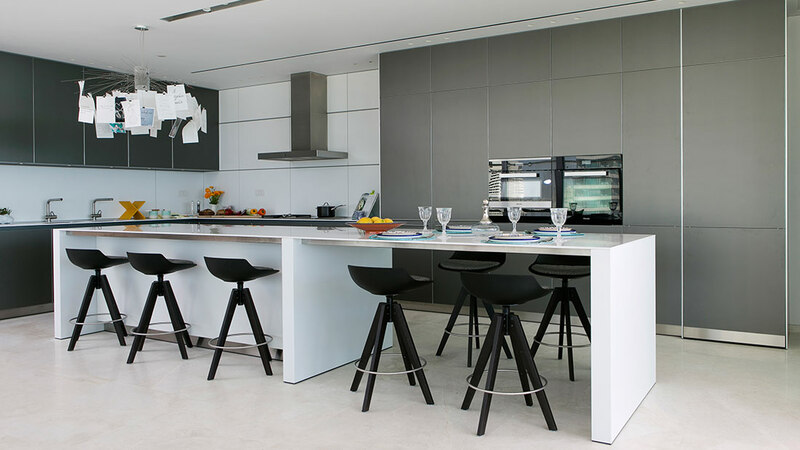 One of the many unique features of the expansive apartment was that the entire internal joinery – including paneling, doors, headboards and other aspects – was custom-designed and produced in South Africa and shipped to Israel to be installed. We procured tastefully designed furnishings from both South Africa and Italy, with an enthralling pendant light by Ingo Maurer, celebrated as one of the best contemporary lighting designers in the world, reflecting the apartment’s classic yet ultra-modern style.